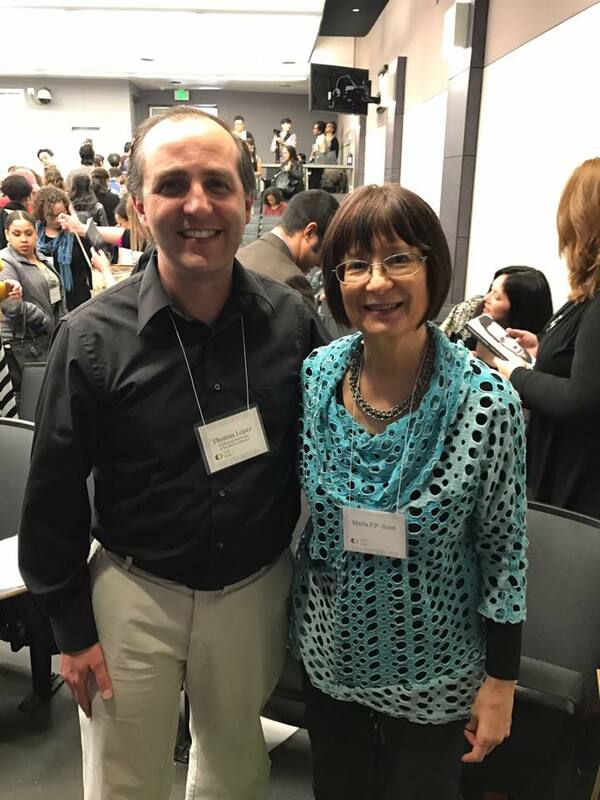 Thank you Critical Mixed Race Studies Conference, Hapa Japan, and Mixed Root Stories for a productive and inspiring weekend. Hundreds of people attended the multi-day event. Connections were created and rekindled. 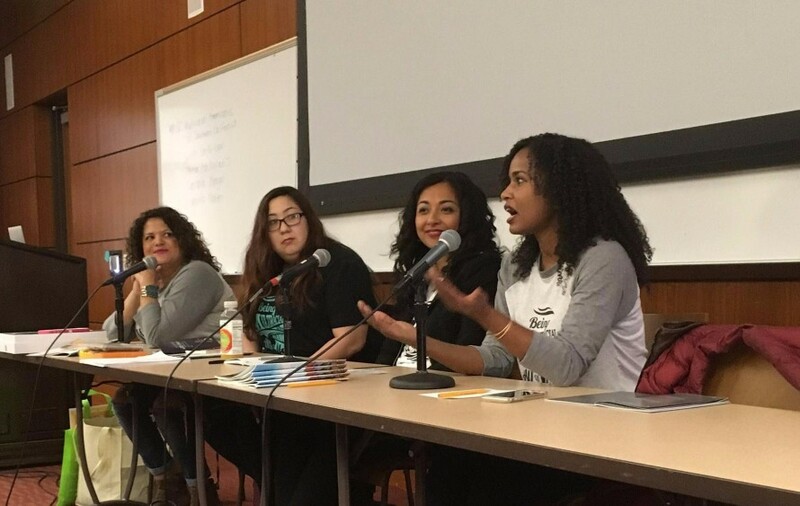 MASC board members participated in a parenting panel, led a Latinos of Mixed Ancestry (LOMA) caucus, and hosted a Census roundtable. We are all leaving full and inspired. And we are already looking forward to the next conference at the University of Maryland in March 2018. MASC board members (from left to right) Sonia Smith-Kang, VP, Athena Asklipiadis, Admin Director, Farzana Nayani, Advisory Board, and Jennifer Noble, PhD, led a discussion on our efforts to provide education on the mixed race experience from K-12 and with families. We had a lively discussion about how to engage with people “beyond the choir” to raise awareness where it’s needed most. 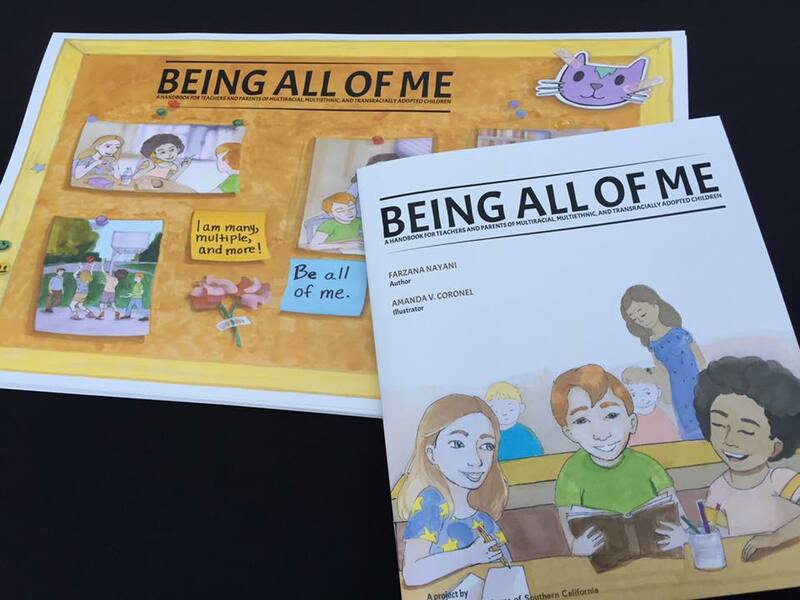 Our elementary school curriculum BEING ALL OF ME, written by Farzana Nayani, premiered. 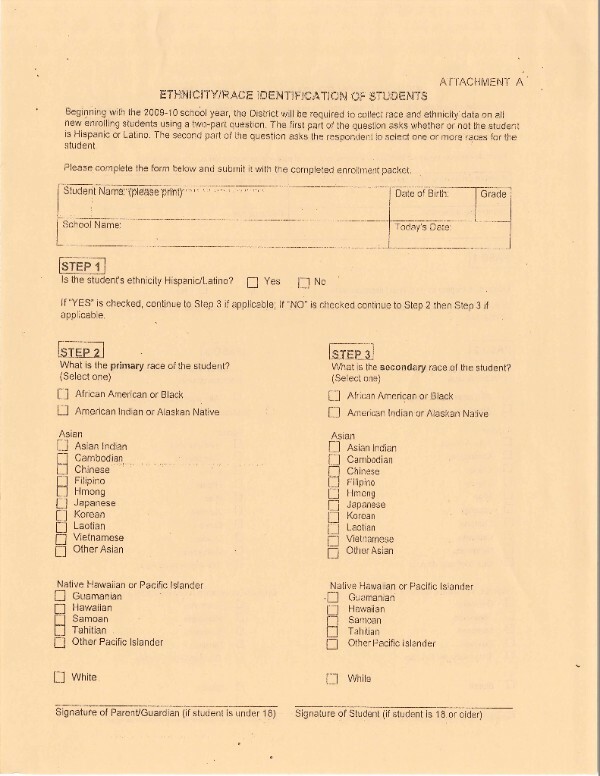 To obtain a copy send an email to info@mascsite.org. 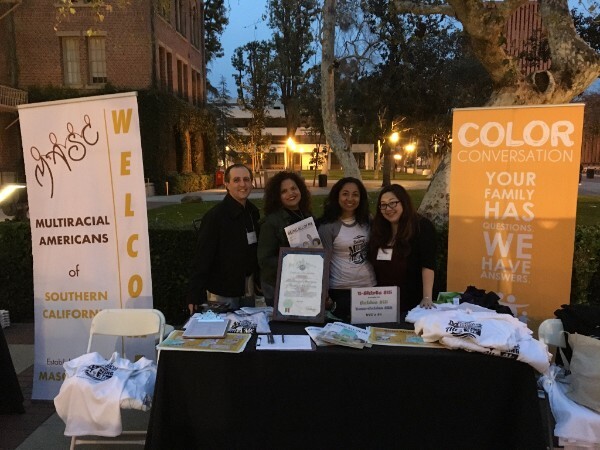 The MASC vendor table became a hive of activity selling BEING ALL OF ME guides, T-shirts, and distributing information about MASC. To get your own T-shirt send an email to info@mascsite.org. Reunion long overdue, MASC President Thomas Lopez greets lifetime achievement award recipient Maria P.P. Root, PhD, honored for her many written works most notably her Bill of Rights for People of Mixed Heritage. MASC’s Athena Asklipiadis founded Mixed Marrow and became the central figure of Mixed Match by Jeff Chiba Stearns. Six years in the making, Mixed Match saw its Los Angeles premiere at the closing night of the conference. 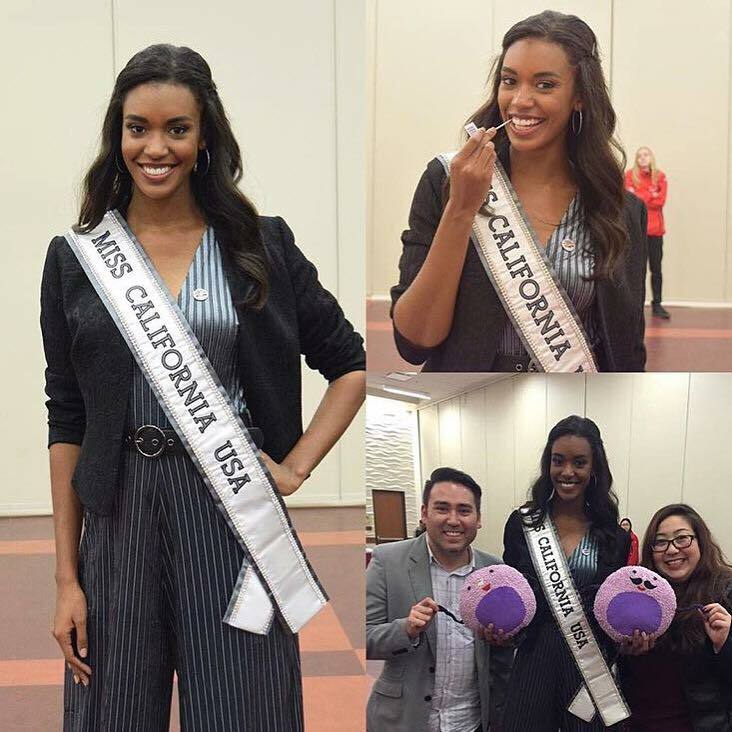 Miss California USA India Williams turned out for the screening that included a National Marrow Donor Plan donor drive and showed her support by joining the national donor registry. 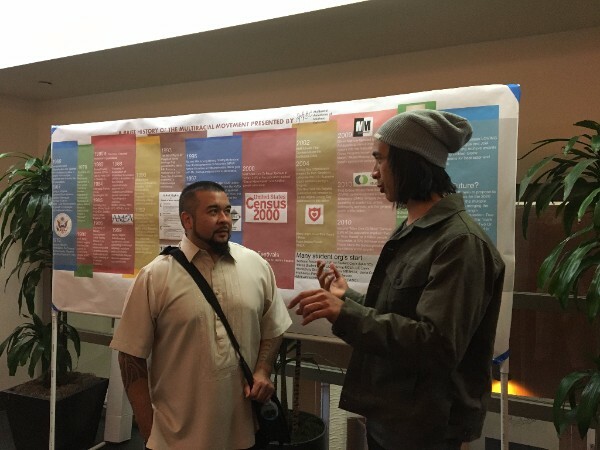 Keynote speaker and MASC Advisory Board Member Rudy Guevarra, PhD, Arizona State University, and UC Santa Barbara Professor of Art, Kip Fulbeck, converse before MASC’s Brief History of the Multiracial Movement poster.